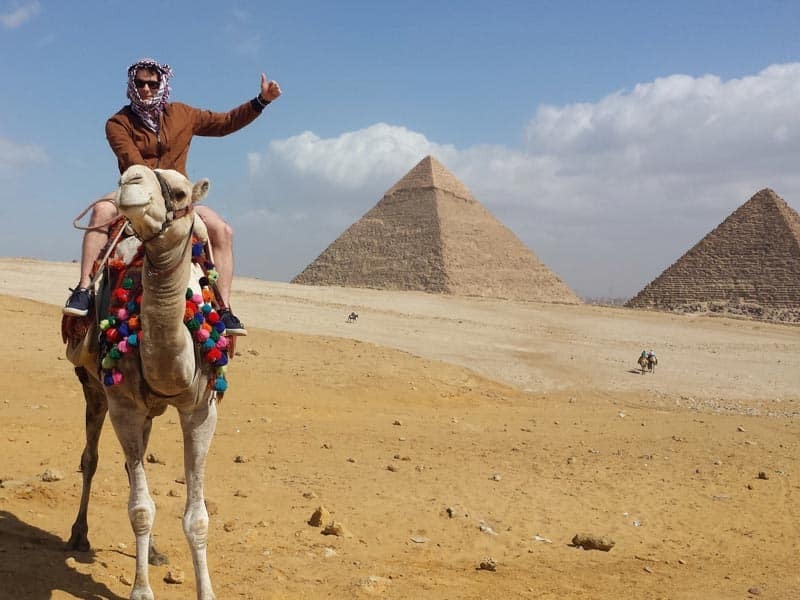 It’s unimaginative visiting the two top destinations of Egypt in one trip. Our breathtaking 2 days Cairo and Luxor tours from Safaga Port is your chance to enjoy a great experience during your stop in Safaga. Discover the most famous landmarks in Cairo such as the Pyramids, the Sphinx, the Egyptian Museum, then fly to Luxor to cast your eyes of the stunning ruins like the temple of Karnak, the temple of Queen Hatshepsut, and Valley of the Kings, then return back to Safaga. Don’t miss the opportunity to live the adventure you deserve. Tour Location Will Be In Cairo and Luxor. Morning time, our representative will pick you up from Safaga Port by a private air-conditioned vehicle to Hurghada Airport to catch the flight to Cairo, upon arrival, meet our Egyptologist tour guide to start your private 2 days Cairo and Luxor tours from Safaga Port by visiting Giza pyramids, which is located in the Egyptian area of Giza, in the western region of the Nile River. The pyramids are considered one of the most important royal tombs in Egypt, which include the bodies of the pharaohs who ruled Egypt. More than 100 pyramids dating back to ancient pharaohs have been discovered so far. The pyramids were built between 2055 B.C and 1650 BC, and the last pyramid was built between 1550 B.C and 1525 BC. Then you will be transferred to visit The Sphinx which is sculpted from hard basalt rock. You may notice that the head is smaller than the body and that's because the body was buried beneath the sand, which helped retain its structure from the desert erosion. Unlike the head, the body was buried and revealed several times over the centuries, as the sand was completely removed from the Sphinx in 1905 to reveal the beauty of this statue. Afterward, enjoy a guided tour to "The Valley temple" which is the best-preserved structure from the Fourth Dynasty, This temple served two main functions, the purification of the mummy of the kings and the Mummification process. After visiting the temple move to have your Lunch at a Nile view restaurant. 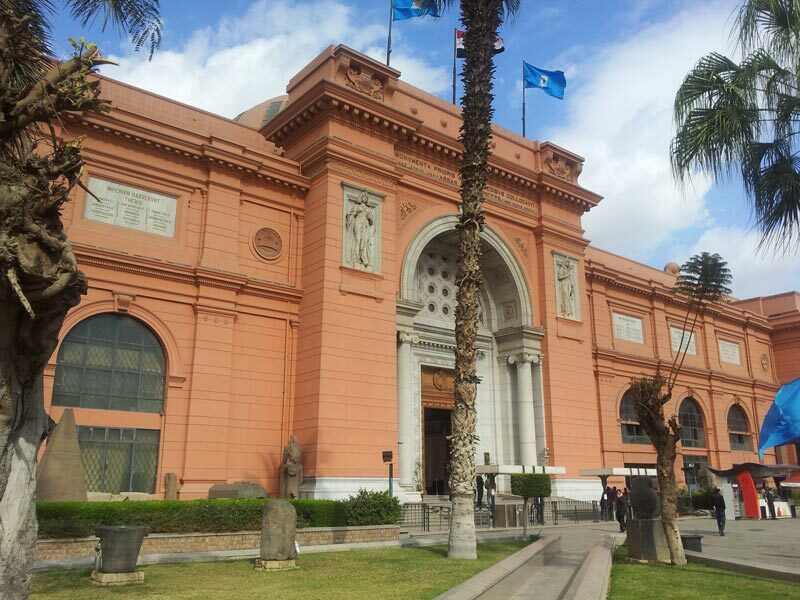 And now you will be transferred to end your first day on Cairo by paying a visit to The Egyptian Museum, Which contains a large number of Egyptian antiquities from the times of the Pharaonic era, as well as some Greek and Roman monuments. In the evening of your first day, we will drive you to Cairo airport for a flight to Luxor where you will be met and transferred to a 5* hotel in Luxor for an overnight. After breakfast at your hotel, check out and join our tour guide to enjoy your second day starting by a visit to The Valley of the Kings which is on the western bank of the city of Luxor which makes it; the ideal place to search for secrets of the ancient Egyptian civilization. In this place, the Pharaohs of the modern era were buried in these tombs that were carved in the center of the rock and dominated by a mountain that looks exactly like the Pyramids. 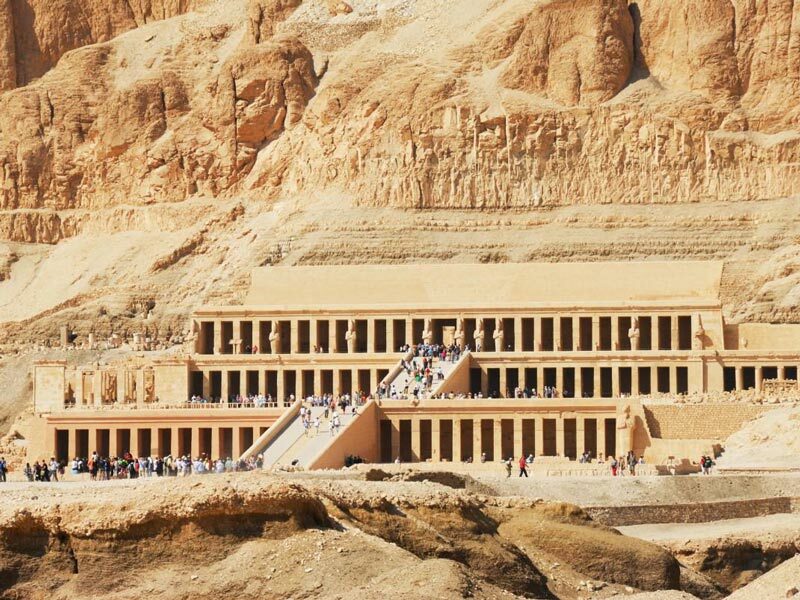 Then head to explore Temple of Hatshepsut, which is a funerary temple with a special architectural design, and consists of 3 consecutive floors with open balconies. 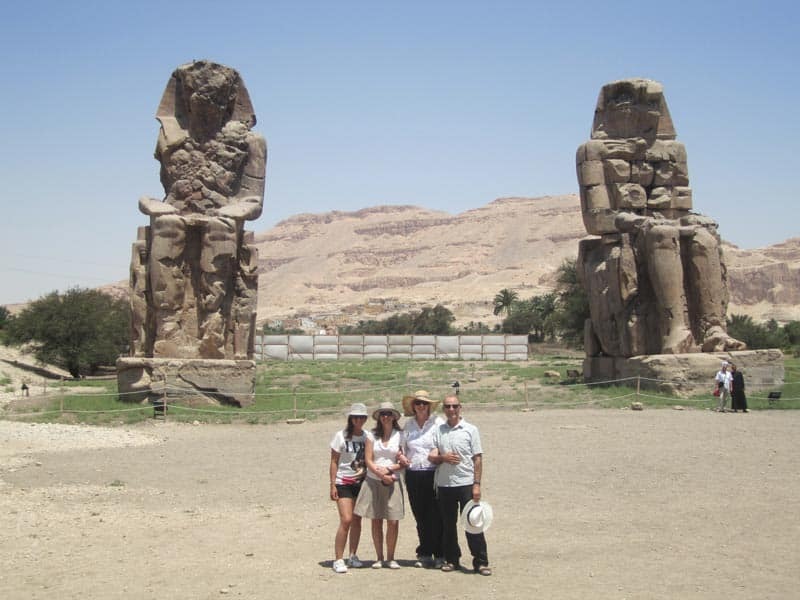 Now move to end your tour to Luxor west bank by visiting Colossi of Memnon which is statues in a seated position on a throne looking in the eastern direction and towards the river Nile in front of his mortuary temple which Amenhotep III had built during his lifetime. During this tour, you will enjoy your Lunch at a Nile view restaurant. 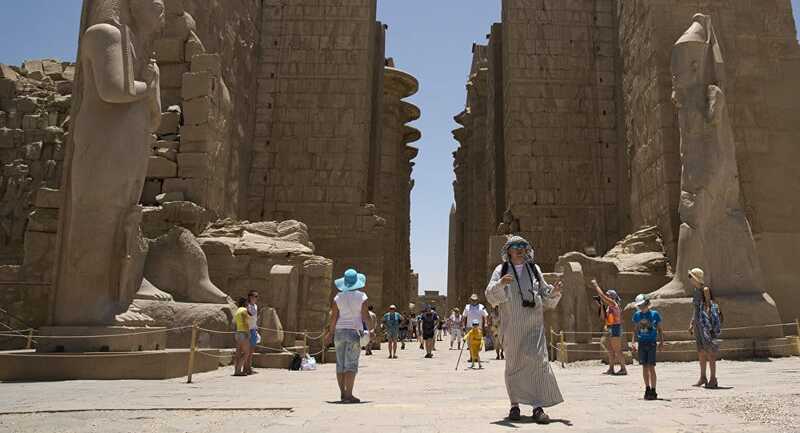 Finally, head to Luxor east bank to end your tours in Luxor by a visit to The Karnak Temple which is the main temple of (The God Amun). It is surrounded by brick walls in the shape of a rectangular that has the length of 550 m, the width of 480 m, the thickness of 12 m, and is surrounded by eight gates. Finally, we will transfer you to Safaga Port by a private air-conditioned car to end your 2 days Cairo and Luxor tours from Safaga Port. One night accommodation at 5* hotel in Luxor. Flight tickets from Hurghada to Cairo and from Cairo to Luxor.